When I purchased the bed I saw “something” in her. I knew she had RICH potential. So I listed it as “available” in my Etsy shop….and waited. And waited and waited. I waited so long for someone else to see her potential…that eventually I discontinued her Etsy listing as I was almost embarrassed to have a piece of inventory in my shop for so long!!! So then it just sat there! This goes completely against what I do! 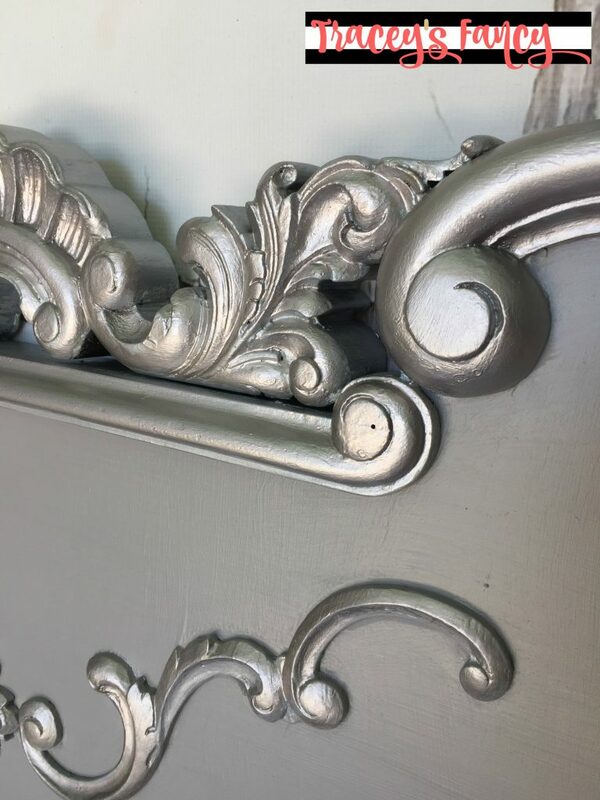 My joy in this craft is dragging out OLD pieces that have long been forgotten…..dressing them up….and making them worthy of the spotlight again! And here I was….locking her up in the dark….for no one to see…and wondering if she would ever have the chance to be a star! And then one day it just happened! I was contacted by a lady who wanted to stop by and see what I had “available to paint” in my shop. And she fell in love!!!! She saw the potential too!!!! 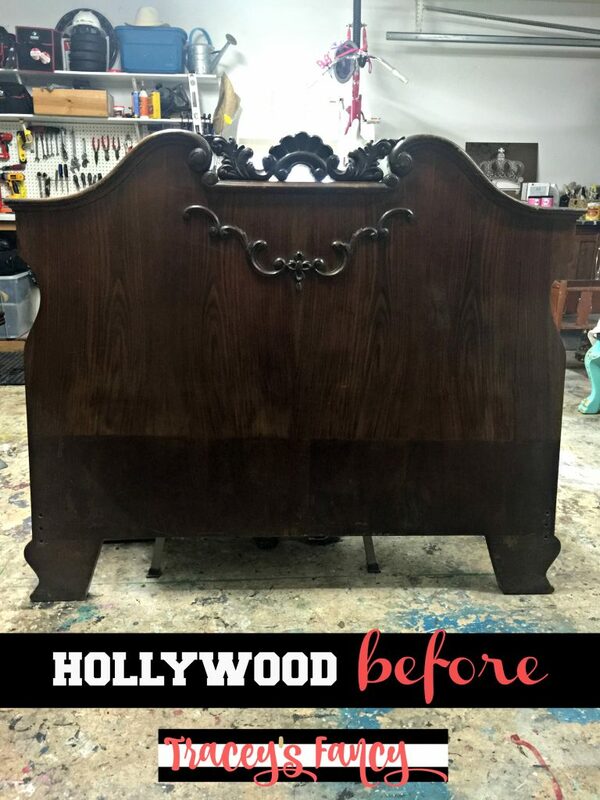 I would like to take credit for the end result of the Old Hollywood bed….but I cannot! My client had the vision….I just brought it to reality for her. We adorned her with a warm gray….and accented her in simple silver. It was just that easy! My client was after a romantic, glamorous, old-world look…..and this is how we did it. 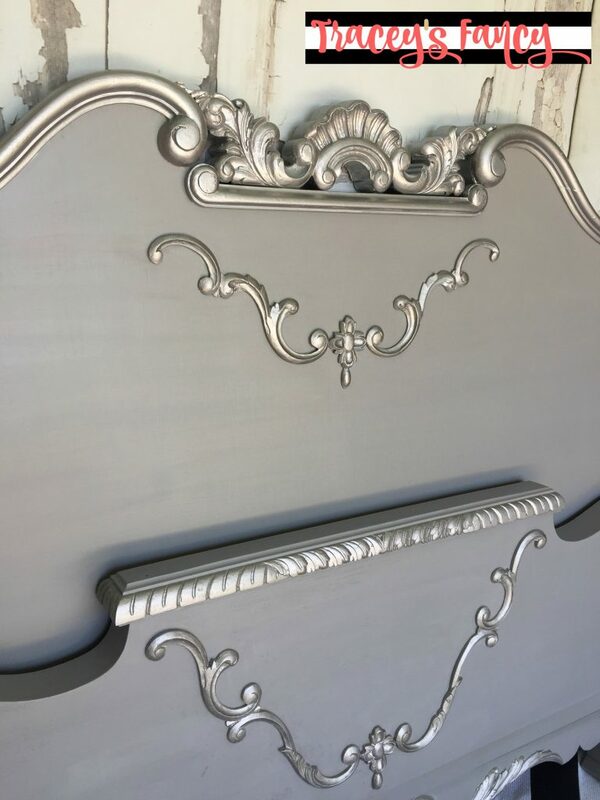 The photo below shows a bed detail covered in Heirloom Traditions Repose (a soft warm gray) and accented with Modern Masters Platinum (silver). The left side is left raw to show you the difference with and without the metallic paint addition. 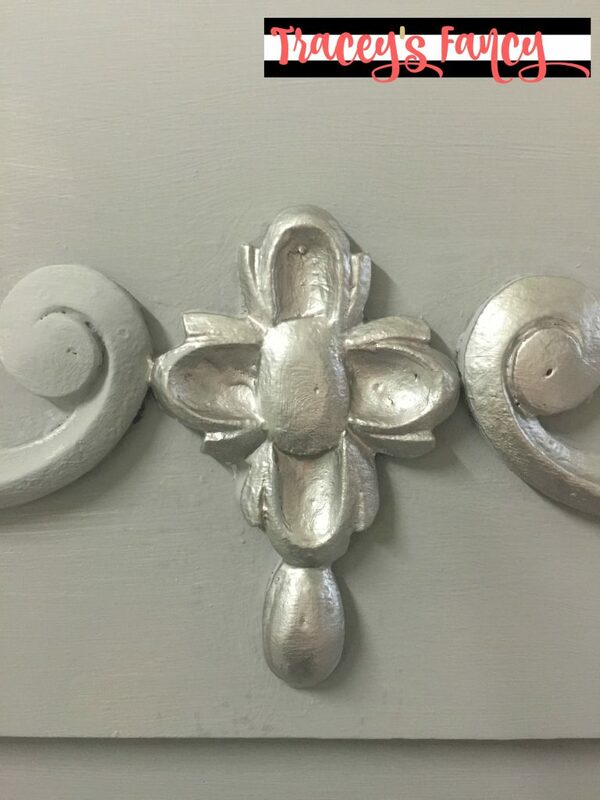 The details and carvings do not go unnoticed! The way the silver plays off the warmth of the Repose gray…..is so elegant….so old world! So Old Hollywood. I imagine this Old Hollywood bed layered in fluffy pure white cotton duvets and ruffled shams. A multitude of mirrors in the room….to reflect its elegant presence. I could not be happier that I held onto this bed as long as I did! I know for certain that it went to the right home….and will be cherished for years! If you’re interested in buying Heirloom Traditions’ chalk type paints, please shop online and use my coupon code FANCY to get 10% off!! 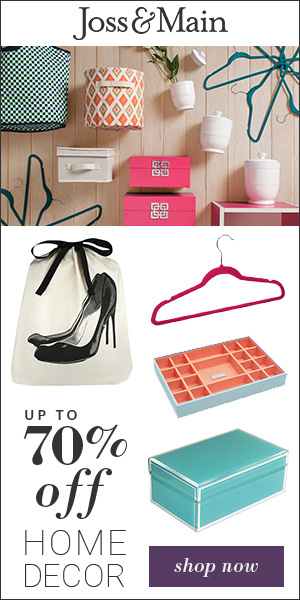 Your purchases will help me earn free paint products so I can keep on fancying up furniture! Thank you! Please add my Old Hollywood Bed to your Pinterest boards! Thank you! And follow me on Pinterest and subscribe to my blog while you’re at it! Thank you Heather….and thank you for recognizing my restraint….LOL!!!! Its not something I am known for. I love knowing you read every single one of my post!!! !